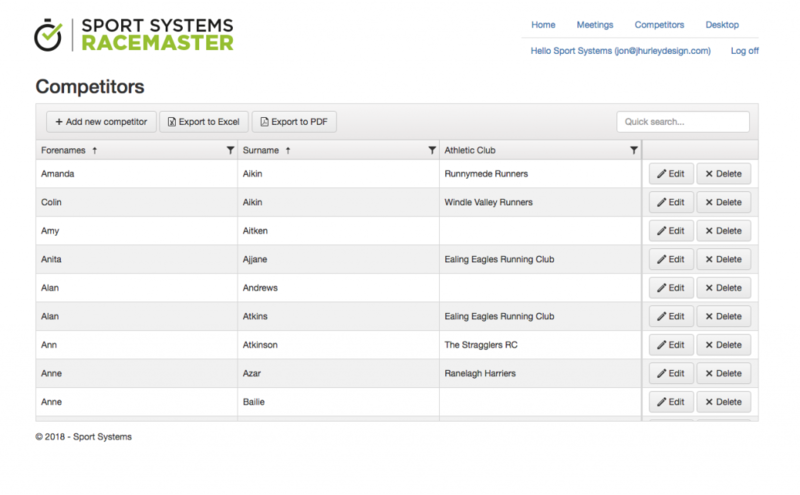 RaceMaster from Sport Systems is the UK’s best-selling Race Management software for road races, cross-country, fell and multi-terrain events. Our customers appreciate its ease-of-use, robustness, speed of operation and the quality of the race reports. The software has undergone a major upgrade and now offers the following additional benefits.